Michael Lee is our generations Miss Cleo. Or he has a Delorean and has traveled through time. 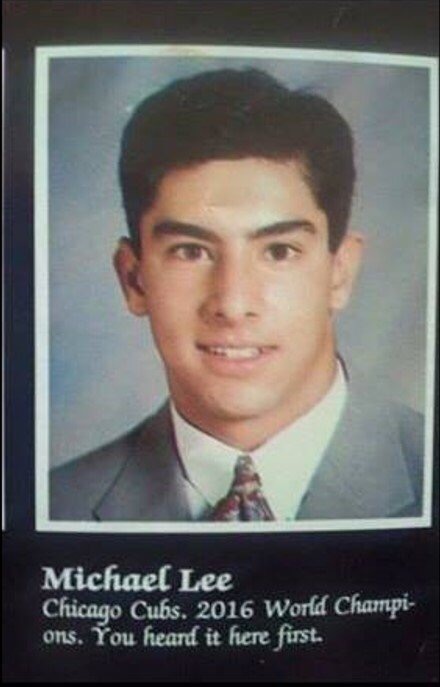 A guy on Reddit posted this photo saying that the prediction was made in his 1993 yearbook. What else does Michael Lee know? I’d like to know some Powerball numbers, please. I am sure that ESPN and Fox are trying to track this guy down to do an interview with him. I wonder who will get him first? With a name like Michael Lee I am sure you could find him on Facebook easily. What are your predictions for the World Series.